Located at: 3685 Central St. Dexter, MI 48130. 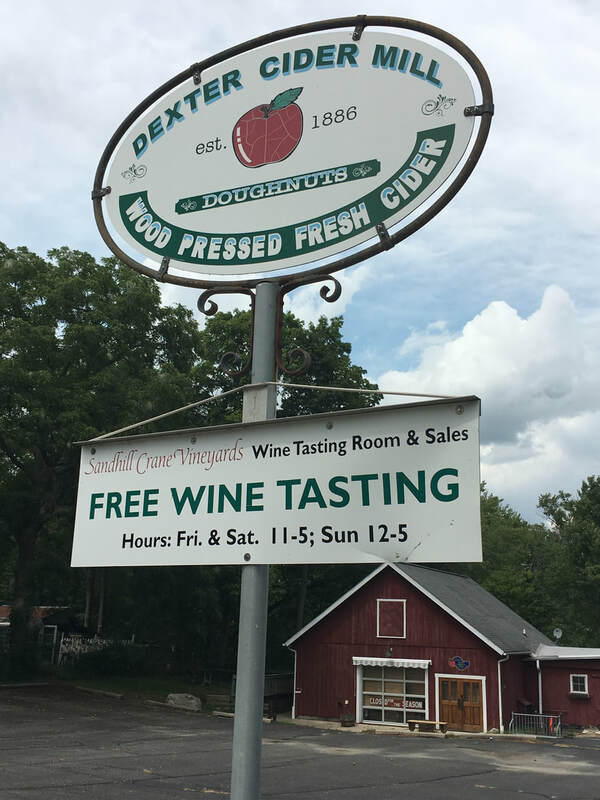 Family owned and operated since 1886, The Dexter Cider Mill has been serving Dexter, the greater Ann Arbor area and our visitors for 132 years. We are the oldest, continuously operating cider mill in the State of Michigan, a distinction we are very proud of and take very seriously. We love what we do and are so happy to be able to share our family's passion and history with all of our guests. Our cider mill is an active working mill and is proud to be a member of the Michigan Cider Makers' Guild. With a passion of preserving our history, The Dexter Cider Mill has had very few changes to our processes over the past 132 years. From the authentic oak press and using a variety of local Michigan apples to create our own unpasteurized cider, to our natural setting along the Huron River...it's a little step back in time to how things used to be and have always been for us. If you are looking to experience a piece of Michigan history, you have come to the right place! ​Using only the freshest ingredients, we bake and prepare daily on premise our delicious doughnuts, wood pressed cider, caramel apples and apple nut bread. On the weekends we have homemade pies and many more scrumptious treats. When the weather starts getting a chill in the air, it's the perfect time to stop by and enjoy a snack (or 2!) overlooking the beautiful Huron River. ​We would love to share a piece of our heritage with you. No Admission or Parking Fees! 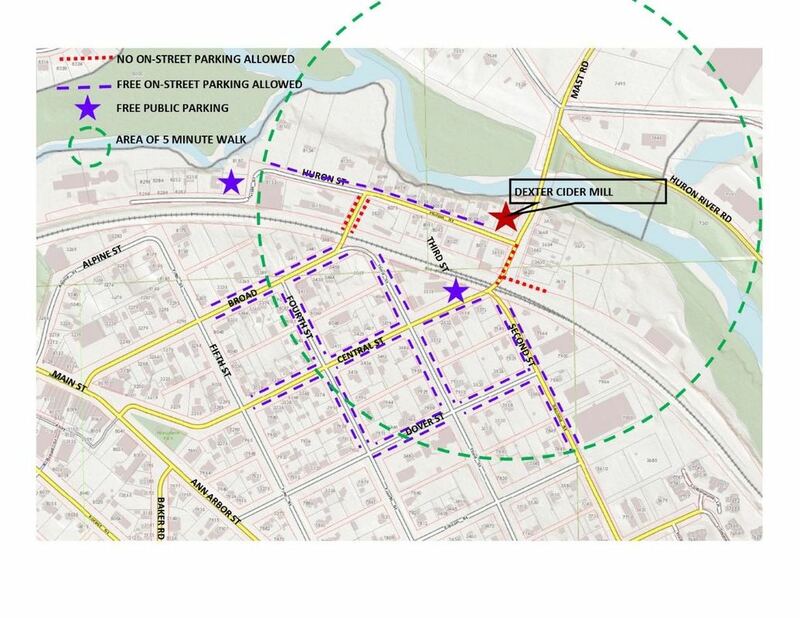 See parking map below for more details. ​ "Will Work for Food"! Proud member of the Michigan Cider Makers' Guild. Preserving the historical process of cider making.